Already have a helmet? You can easily upgrade it with this Bluetooth system by Sena. 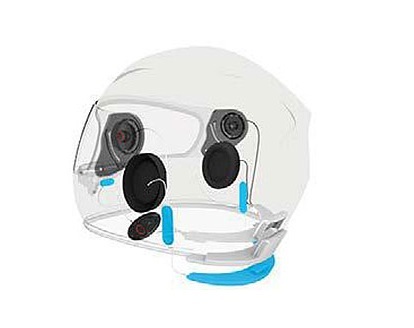 It delivers audiophile-worthy performance for your tunes and conversations in a stealthy setup that fits within the recesses of your helmet. Communicate with up to four riders for 12 hours on a single charge.